I guess flower season is still not over, for here’s another slew of photoshoots featuring flowers either in gardens or nature. Ice Fantasy, aka the prettiest LOTR cosplayers ever. As your resident everything-from-Guo-Jingming-is-so-pretty parrot, I must say the costumes for both Ice Fantasy and L.O.R.D. disappointed me. 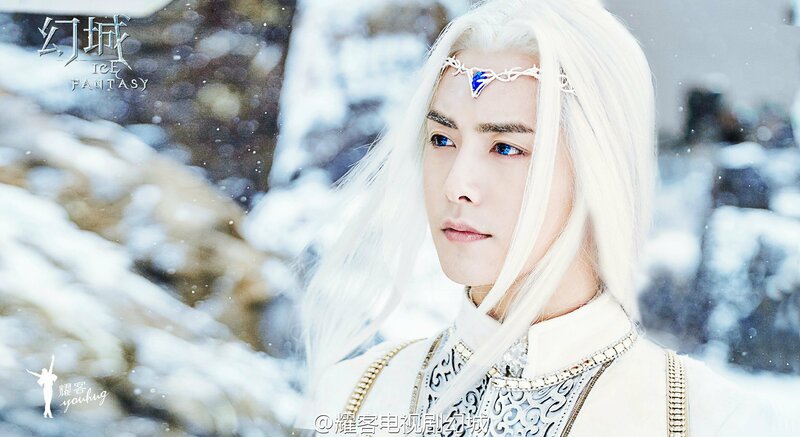 Ice Fantasy is completely white washed and has no trace of the Chinese mythology components left, but at least its not plain fugly like that of the more traditionally Western fantasy L.O.R.D. Nevertheless, at least the cast of Ice fantasy, consisting of Feng Shaofeng, Ma Tianyu (who play brothers of many lifetimes), Victoria Song Qian, Xu Jiao, Zhang Meng, and Wang Duo look pretty. I just hope they don’t try too hard to erase the fact that this was written as a bromance novel (cough, Nirvana in Fire). Also, I understand the white hair is a major symbol in the story, but I really don’t understand why the two leads need to be blue-eyed. I’m judging Feng Shaofeng so hard right now for agreeing to do this. He should be a better actor than one who acts with colored contacts. White, braided wig, blue eyes. 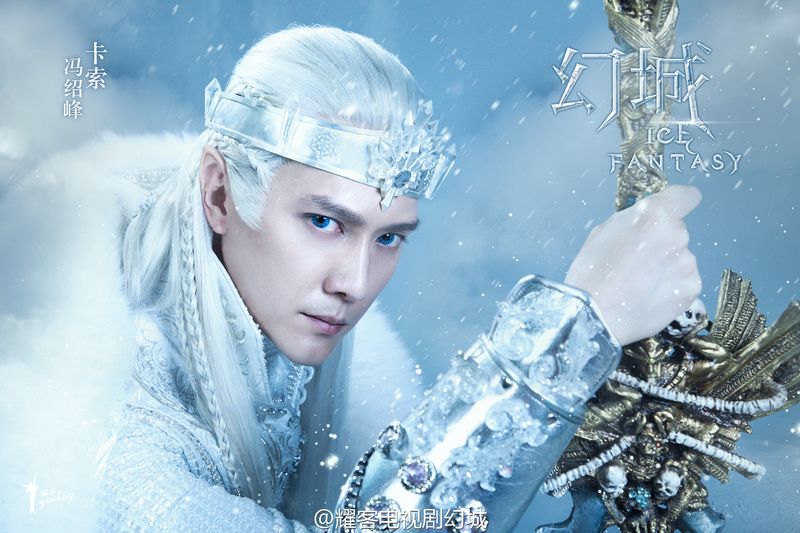 a crown with a giant plastic snowflake, a scepter with skulls, Feng Shaofeng doesn’t need a costume for Halloween anymore. They better use Xianzi’s real voice for singing because I miss her voice so much. Peter Ho may not be the best-looking actor, but he has great taste in actors for his own productions. 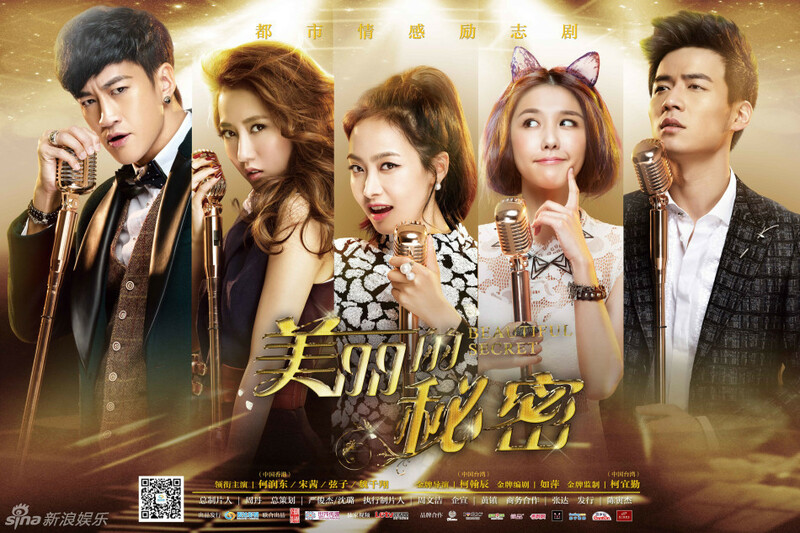 His latest drama, Beautiful Secret, features Victoria Song, Xianzi, and Wei Qianxiang, and Shao Yuwei in a drama about singing competitions. I hope Xianzi sings a lot of songs for this. Character posters below the cut. What’s the best thing about having a belated Photoshoto Friday? It’s a pleasant surprise! (You know…like…it’s unexpected…) And, there’s the potential of having two in one week, if you count Sunday as part of the next week. This week’s round up features Zhou Jun for Marie Claire, while Chen Hao shows that she’s a lady of the piano. Victoria Song pops against her backgrounds with gorgeous contrast, while Fan Bingbing is a glittering diva. Meanwhile, Wu Modi doesn’t go easy on the colors, and Gao Yuanyuan is in the midst of a colorful autumn (or winter?) in her shoot for L’Officiel. Song Qian awkwardly smiling because … just look at Jiang Jinfu’s snapshot in the trailer. When Du Chunxiao (Song Qian) signed on as a tutor for the Huang family, she didn’t expect being asked to get engaged with their first son (Yang Yang), or fall in love with the second son (Jiang Jinfu), and she certainly did not expect a series of deaths and disappearances of maids, doctors, and relatives of the Huang family. Will she find the connection amongst the paths? Or are the cocoons in this silk family weaving a trap for her? 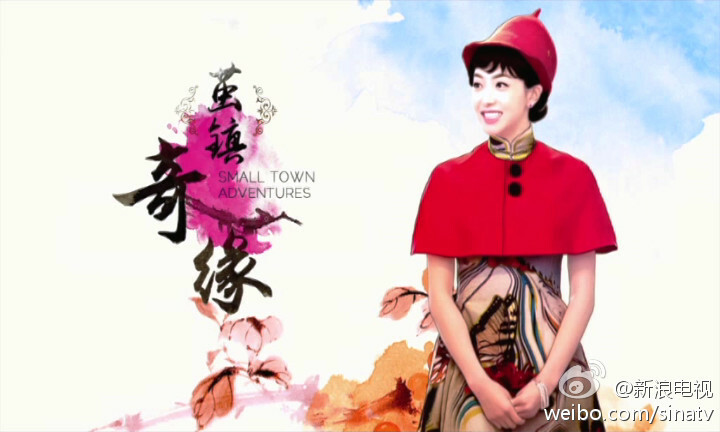 Mystery series Small Town Adventures 茧镇奇缘 released its first for-audience trailer today. Watch it below.